A new year is right around the corner, and with it will come the usual host of resolutions—sadly, rarely kept. To be more precise, more than 40% of Americans make New Year’s resolutions and just 8% achieve their goals. Sometimes the goals they set are too daunting, sometimes too vague. And, perhaps the biggest problem with the whole resolution business is that people focus on goals rather than processes. In 2012 Charles Duhigg, a Pulitzer Prize-winning journalist for The New York Times, wrote The Power of Habit, which spent 62 weeks on the paper’s best seller lists and was named one of the best books of the year by The Wall Street Journal and the Financial Times. It is now being reissued with an afterword by the author. I reviewed the book when it first came out and thought I would write a new post now that I have the reissued edition. But then I reread my original piece and decided that I probably couldn’t improve on it. So instead I’ll republish it here. “All our life, so far as it has definite form, is but a mass of habits,” William James wrote in 1892. Well, that might be a bit of an overstatement: a researcher in 2006 knocked that “mass” down to “over 40 percent.” Whatever the percentage, we are creatures of habit. In The Power of Habit: Why We Do What We Do and How to Change It (Random House, 2012) Charles Duhigg explores the work that neurologists, psychologists, sociologists, and marketers have done over the past two decades to figure out how habits work and how they change. It’s a fascinating tale. Most habits are innocuous enough; they don’t make a major difference in our lives. But some habits do, and not always for the better. Moreover, no matter what we do, those bad habits never really disappear; “they’re encoded into the structures of our brain.” The good news is that although old habits never die, they can be “ignored, changed, or replaced.” (pp. 29-30) How? Quite simply, at least in theory: by changing the habit loop of cue, routine, reward. Ad men figured this out early on. Claude Hopkins, for instance, was responsible for making Pepsodent a sensation at a time when hardly any Americans brushed their teeth; “when the government started drafting men for World War I, so many recruits had rotting teeth that officials said poor dental hygiene was a national security risk.” (p. 39) A decade after the first Pepsodent campaign, more than half the American population brushed their teeth daily and flashed that Pepsodent smile. And they presumably believed that they no longer had that dingy film on their teeth that they could feel when they ran their tongue across their teeth, the cue that Hopkins devised to entice them to brush in the first place. (In fact, the toothpaste did nothing to remove the film, but then ads have never been known for their truthfulness.) So a simple habit loop was formed: cue (tooth film), routine (brushing), reward (beautiful teeth). What if you already have a habit that you want to change? In that case, “you must keep the old cue, and deliver the old reward, but insert a new routine.” (p. 60) As one of the developers of habit reversal training said, “It seems ridiculously simple, but once you’re aware of how your habit works, once you recognize the cues and rewards, you’re halfway to changing it.” (p. 70) Some people need a support group to reinforce their belief in change, others are fine on their own. Duhigg extends his analysis to willpower, how retailers predict (and manipulate) habits, how movements happen, and the neurology of free will. But let me stop here and make a couple of off-the-cuff, not especially profound observations. Traders often repeat the same mistakes over and over, acting on triggers that have served them poorly time and time again even as they continue to expect a tidy profit as a reward. Not only is this insanity, the problem is that they’ve developed a powerfully destructive habit loop. They need to figure out a new routine—and in this case, I believe, contrary to habit reversal theory, either a new, non-monetary reward or a more probabilistic view of the reward. Beginning traders sometimes feel compelled to swing a big line, and normally they lose big. Just think how many accounts have been blown out. Small wins are powerful levers (and don’t have the downside risk of using too much leverage). “Levers, not leverage”—it has a nice ring to it! Amazon associates program is back! As you may recall, for some time my book reviews looked a lot jazzier than they do now. Each review had a picture of the book’s cover, compliments of Amazon. And if you clicked on the picture and actually bought the book, I got a small referral fee—and it cost you nothing extra. Win, win. Then came the brouhaha over Connecticut sales tax and Amazon shut down the associates program in the state. Now it’s back. Actually, it’s been back for some time, but I just found out about its reincarnation. I’ve never junked up this blog with ads, but I feel differently about the Amazon program. First of all, it improves the look of the blog. Second, I get a few bucks each month if you have a U.S. Amazon account and either buy a book I reviewed by clicking on its image or if you use the search box on the right-hand side bar and buy anything your heart desires from Amazon. It can be a book, a phone or tablet, towels, skis, pet supplies—you name it. Amazon will thank me each month with a small deposit to my checking account. And I will have another incentive to keep on blogging. Right now Amazon is running a promotion for a 30-day free trial to Amazon Prime. Here’s the link. I’m not sure why value investing has become such a popular topic. I have reviewed at least half a dozen books on value investing and, to the best of my recollection, not a single one on momentum investing. “Momentum” is a dirty word, associated with burst bubbles, even as it remains a popular strategy with many professional investors. By contrast, value, a concept with an impeccable pedigree, is often touted as an all-seasons strategy, one that doesn’t require keen timing skills and that allows the retail investor to sleep well at night. Esmé Faerber, a professor of business and accounting at Rosemont College and the author of three previous “All About” investing books, adds to the growing literature with All About Value Investing: The Easy Way to Get Started(McGraw-Hill, 2014). As the subtitle indicates, this book is written for beginners. More experienced value investors should turn to such recent works as Quantitative Value by Gray and Carlisle, The Art of Value Investing by Heins and Tilson, The Manual of Ideas by Mihaljevic, Damodaran’s Investment Valuation, or even his The Little Book of Valuation. Value investing is neither easy nor mechanical. Faerber takes the reader through the basics: the balance sheet, income statement, and statement of changes in cash. She explains how ratio analysis “uses a company’s financial information to predict whether it will meet its future projections of earnings.” (p. 130) The investor/analyst can use five groups of ratios: liquidity, activity, profitability, leverage, and common-stock related ratios. The value investor also has to assess qualitative factors, such as the company’s competitiveness and the quality of its management. For those who don’t want to go through this kind of company-by-company analysis, Faerber explains the use of mutual funds, closed-end funds, and ETFs. She rounds out the book with chapters on bonds, preferred stock, and options, rights, and warrants. All About Value Investing offers a glimpse into a respected style of investing, perhaps enough to whet the reader’s appetite to delve further. William Pike and Patrick Gregory, who have taught investment courses at the college and professional level, have done the would-be retail investor (and even some experienced investors) a great service by writing Why Stocks Go Up and Down, now in its fourth edition. Naturally, the question posed by the book’s title remains unanswered (and fundamentally unanswerable except at the most obvious level of supply and demand). Instead, the authors direct their attention to the various ways a company can raise capital and the metrics that can be used to assess a company’s financial well-being. This book starts at the very beginning, with the formation of a private company, and explains the ways the company funds itself and some ratios its investors keep an eye on. It then moves on to the IPO process, explaining primary offerings, secondary offerings, public offerings, private placements, and follow-on offerings. If the company wants to raise additional funds it might consider issuing bonds. The authors ease the reader into this often ill-understood field before proceeding to more advanced topics, such as “call” and “refunding” provisions and covenants. They also describe convertible bonds, preferred stock, convertible preferred stock, and hybrid preferred securities. By the end of this discussion the reader will probably know more about bonds than 75% of retail investors do. The third part of the book deals with accounting principles necessary to understand a company’s fundamentals. Although the authors explain such concepts as depreciation, cost versus expense, capitalizing assets, and write-offs, their major focus is cash flow. And wisely so, since it is the key metric for many valuational models. Finally, the authors relate a company’s stock price to its fundamentals, describing a set of commonly used ratios, including price/earnings, price/cash-flow, and price/sales. Everyone who buys even a single share of stock should be familiar with the material covered in this book. It provides a necessary foundation for becoming an informed investor. Pike and Gregory are to be commended for writing what they describe as “the book you need to understand other investment books.” Or, as I would suggest, the book you need to read (or some of the stuff you need to know) before you commit hard-earned dollars to the markets. Readers often urge me to highlight books I reviewed over the course of the year that I found particularly worthwhile. It’s a holiday tradition on practically every site that either sells or reviews books. So, despite the fact that putting a book on a “best” list is a subjective and intrinsically flawed process, here goes. This year I have chosen six books, presented here in alphabetical order by author. Stephen Roach, formerly chairman and chief economist of Morgan Stanley Asia and now a senior fellow at Yale, is singularly well equipped to analyze the complex economic relationship between China and the United States. Unbalanced: The Codependency of America and China, forthcoming from Yale University Press, explores the evolution of this relationship, its current fragility, and future opportunities. Even though the U.S.-Chinese codependency cannot be viewed in isolation, the fact remains that “they suffer similar maladies: they are the most unbalanced major economies in the world today.” And, Roach warns, “no unbalanced economy is ultimately sustainable.” (p. 213) Both countries must undergo structural change. The U.S. should reduce its personal consumption share of GDP (currently at a record high of around 71%); China should reduce its combined share of exports and investments (more than 70% of GDP). Roach offers specific recommendations on how to move toward a stable relationship between the Next China and the Next America. Policy makers should pay heed. A 2011 study in the Financial Analysts Journal highlighted, and sought to explain, the seemingly anomalous long-term success of low-volatility and low-beta stock portfolios. The success of these portfolios is anomalous because their high average returns and small drawdowns “run counter to the fundamental principle that risk is compensated with higher expected return.” Over the 41 years between January 1968 and December 2008 a dollar invested in the lowest-volatility portfolio, assuming no transaction costs, increased to $59.55 whereas a dollar invested in the highest-volatility portfolio was worth a mere 58 cents by the end. In real terms, the former produced a gain of $10.12, the latter a loss of more than 90 cents (or 90%). The authors of the study argued that low volatility portfolios outperformed because “exploiting [the anomaly] involves holding stocks with more or less similar long-term returns (which does not help a typical investment manager’s excess returns) but with different risks, which only increases tracking error. So, even though irrational investors happily overpay for high risk and shun low risk, investment managers are generally not incentivized to exploit such mispricing.” And, they concluded, “so long as most of the investing world sticks with standard benchmarks,” the advantage will go to low volatility investors. Critics will be quick to point out that volatility and risk are not the same. That’s true, of course, but let’s not get tripped up over theoretical distinctions, however important. The fact remains that, for whatever reason—and some would point to the tough uphill climb after large drawdowns, low-volatility low-beta investing has outperformed handily. Peter Sander’s new book (he has written 39! ), All About Low Volatility Investing: The Easy Way to Get Started (McGraw-Hill, 2014), introduces investors to this strategy. He wants it to be accessible to math-phobes and stresses that “informed common sense will help you more than [quantitative models] in making the right decisions.” (p. 84) But the reality is that you can’t write about volatility without describing it statistically. So Sander succumbs even as he maintains that investors need to know concepts and relationships, not formulas. It’s about the thought process, he claims, not the actual measurement. The second part of the book moves beyond the somewhat tortured “what” of volatility to the “how” of becoming a low volatility investor. Sander begins at the level of portfolio construction. He suggests building a three-tiered portfolio comprised of foundational, rotational, and opportunistic investments. Low-volatility investments belong to the foundational portion of the portfolio, along with such long-term investments as real estate, trusts, and collectibles. Rotational investments are those that take advantage of business cycles such as sector-specific ETFs. Opportunistic investments/trades include high beta stocks and options. The weightings of these categories of investments will depend on how conservative or aggressive the investor is. A sample tiered portfolio would consist of classic low volatility stocks (30%), low volatility funds (30%), real estate income (10%), inflation hedge (10%), sector funds (5%), inverse/low correlated (5%), strategy funds (5%), and “hot stuff” (5%). The investor, of course, still has to figure out what stocks and funds to buy to fill out his tiered portfolio. Sander gives some pointers on what to screen for; he suggests that among the core indicators of low volatility are dividends, beta, size, and growth. When all else fails, look at a chart, especially one with Bollinger bands. Sander’s book is elementary, but for investors intrigued with low volatility investing it’s a decent starting point. Extraordinary measures for extraordinary circumstances. But have the central banks overplayed their hands? How, and how quickly, will they be able to scale back their operations? As you might surmise from the book’s title—Code Red: How to Protect Your Savings from the Coming Crisis, John Mauldin and Jonathan Tepper are skeptics. A little more than half of this book is devoted to explaining (and decrying) current policies. The book is written in laymen’s terms. The authors have, as they say, “written Code Red with cab drivers in mind.” (p. 251) Well, that may be a bit of a stretch. But the prose is engaging, so even if you’re familiar with its macroeconomic themes it’s a good, sometimes ghoulishly funny read. If as the Fed unwinds its portfolio the investor is confronted with an inflationary environment, he should own stock in companies that have pricing power. These are companies that have, in Warren Buffett ‘s words, moats around them. Types of moats are: intangible assets, the network effect, low-cost producer, high switching costs, and efficient scale. Taking just one example to illustrate each kind of moat, we have: Disney, MasterCard, Walmart, Oracle, and pipelines. Mauldin is, as he writes, “long on humanity but short government,” (p. 340) a bias that’s evident throughout the book. Despite this bias (or, others would argue, because of it) Code Red is a worthwhile read. John S. Wasik explores this investing journey in Keynes’s Way to Wealth: Timeless Investment Lessons from the Great Economist (McGraw-Hill, 2014). Let me start with the rewards of the journey: what Keynes did with his wealth. He bought art as well as rare books and manuscripts. 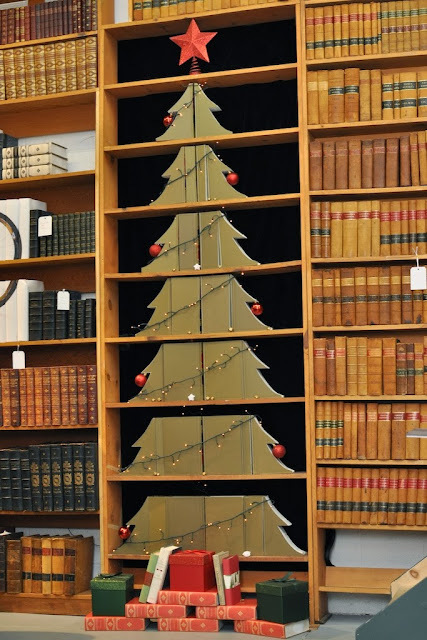 The Keynes collection of rare books, bequeathed to King’s College in 1946, is, according to the college’s web site, “especially strong in editions of Hume, Newton and Locke, and in sixteenth and seventeenth century literature. About 1300 books in this collection have been catalogued on the online catalogue. … Keynes’s collection of manuscripts by Newton, Bentham, John Stuart Mill, etc., is housed in the Modern Archive Centre.” A man after my own heart, but with a bigger budget. His commodities trading seemed to go well for some time, but then came the stock market crash of 1929 and the attendant collapse in demand for commodities. He lost some 80 percent of his net worth. His principles have certainly had lasting power; they underlie some of the most successful investment portfolios today. Don’t quit your day job. Instead, Ryan Mallory suggests, join the world of The Part-Time Trader (Wiley, 2014). Mallory himself started as a part-time trader while working in corporate America and then transitioned to being a full-time trader. He also cofounded SharePlanner, a finance trading site that gives real-time trade setups, ideas, and analysis to day traders, swing traders, and position traders—most of them part-timers. In this book Mallory recounts his time as a dissatisfied “company man” who “added a heap of stress” to his life by trading at work. He himself proceeded by trial and error but eventually came up with a number of “best practices.” He describes how to balance job and trading, how to set up a “workplace trading desk,” how to fly beneath the radar and (critically) maintain monitor privacy. He explains why your best friend is the person who works in IT and how to trade when traveling. He admonishes part-time traders not to be too social. I assume his advice is sound, although I was never in his position. For most of my working life my Simon Legree boss (me) would never have tolerated such distracting behavior. Those who are trying to juggle the demands of a full-time job and part-time trading will undoubtedly find useful tips in this book. Mallory is writing from experience. John F. Ehlers is probably best known for his MESA (maximum entropy spectral analysis) technical indicators, developed over thirty years ago. He has continued his research in this field and brings traders up to date with his latest book, Cycle Analytics for Traders: Advanced Technical Trading Concepts (Wiley, 2013). As for the why. Ehlers is careful to explain the principles and the math behind these indicators. But he does more. He reflects on the very nature of the markets themselves. I was particularly struck by his thoughts on the drunkard’s walk hypothesis. In its stead Ehlers proposes a constrained random walk model. I can’t summarize it properly here, but let me highlight a few points that may serve as guideposts. First, “the equation governing the distribution of the displacement of the random walker from his starting point” is the partial differential equation known as the diffusion equation. It can be illustrated by a smoke plume leaving a smokestack, which is akin to the way a trend carries itself through the market. Second, Ehlers modifies the random walk model to allow the coin toss (which determines whether the drunkard takes one step to the left or the right) “to determine the persistence of motion. In other words, with probability p the drunkard makes his next step in the same direction as the last one, and with probability 1-p he makes a move in the opposite direction. … The interesting feature of the modified drunkard’s walk is that as the distance between the point and the time between steps decreases, one no longer obtains the diffusion equation,” but rather a different partial differential equation, the telegrapher’s equation. I trust that this review, however sketchy, indicates that Ehlers’ book would be a very valuable addition to any trader’s library. It encapsulates decades of thoughtful work. Financial Advice and Investment Decisions: A Manifesto for Change by Jarrod W. Wilcox and Frank J. Fabozzi (Wiley, 2013) is meant as a wake-up call for individual investors (and, presumably, their financial advisers as well). The book is comprised of thirteen chapters and four appendices. The chapters cover such topics as the extended balance sheet approach to financial planning, properties of mostly efficient markets, growing discretionary wealth, coping with uncertain knowledge, controlling investing behavioral biases, tax efficient investing, matching investment vehicles to needs, active vs. passive strategies, performance measurement, and organizational investment. The final chapter looks at causal feedback loops in society that are affected by financial decision making. On another front, trying to capture the essence of “mostly efficient markets,” the authors write: “If market cycles operated as smooth outcomes of simple feedback loops, they would be subject to anticipation by intelligent speculators, thereby losing their force. In practice, however, the behavior of multiple linked feedback loops is not only complex, but its character may be disguised by frictions—thresholds that must be exceeded before action is taken—that make their operation spasmodic. … Because of the resulting lumpy nature of the actual purchases, the sources of system risk that develop across multiple investors and investments are often obscured. This kind of emergent behavior, whether in terms of small movements of a single security or cataclysms over most of the world’s financial system, can be better understood if we think of its operation through a network of investors.” (p. 51) The authors illustrate properties of investor networks—and network contagion--with simple grid diagrams. This book is written for the serious retail investor who wants more than the usual financial advice pap. It doesn’t offer stock tips or even the standard fundamental/technical words of wisdom. Instead, it provides a framework within which to make intelligent investment decisions. And a good framework is worth a thousand stock tips. Just when you thought you knew everything there was to know about the meltdown of the mortgage market, along comes The Mortgage Wars: Inside Fannie Mae, Big-Money Politics, and the Collapse of the American Dream (McGraw-Hill, 2014). Timothy Howard, former CFO of Fannie Mae, was in the trenches until the end of 2004. At that time he left Fannie Mae, “along with Fannie Mae’s chairman and CEO Frank Raines, in the wake of allegations by the company’s regulator that [they] had deliberately falsified its financial reports.” A civil case lasting over eight years ensued, with Raines and the author named as individual defendants. The defendants filed motions for summary judgment in their favor, which was granted in the fall of 2012. Thus vindicated, Howard was finally free to tell his side of the story. And a fascinating story it is. Here’s some background. Fannie Mae may have become a shareholder-owned company, but it enjoyed benefits that both created the perception of a special relationship with the U.S. government and lowered the cost or increased the marketability of the company’s securities. As such, it “faced criticism and pressures from three main sources: free-market advocates, actual and potential competitors, and the two principal bank regulators, the Federal Reserve and the Treasury.” (p. 32) But, despite calls for Fannie Mae to sever all ties with the government and become a stand-alone entity, internal studies concluded that such a step would be suicidal. Fannie Mae remained a GSE. The attacks on Fannie Mae only intensified. Howard describes in vivid detail the campaign against the GSEs, as “seemingly credible sources, including the Wall Street Journal,” argued “with … frequency and fervor that the risky GSE’s must be replaced by far safer private-market alternatives.” (p. 148) The private-label mortgage-backed securities market began to flourish. We know where that took us. Here I’ve merely offered a glimpse into some of the early events and players (there were many) that prompted the mortgage wars and eventually the housing market meltdown and the nationalization of a Fannie Mae that had lost its way. Howard takes the story through to its end, detailing the chain of events with the passion of an aggrieved insider and the precision of a number cruncher. He adds considerably to our understanding of what went wrong and offers suggestions about how we can prevent a reoccurrence. The Mortgage Wars should be required reading for politicians, regulators, and bankers—and all of us who are tasked with keeping them in check. I’m in over my head with Eugene A. Durenard’s Professional Automated Trading: Theory and Practice (Wiley, 2013), so consider this post more of a notice than a review. Durenard draws on concepts from evolutionary theory and learning to endow trading systems with opportunism, robustness, and flexibility. Learning is important because a swarm system needs not only behaviors that have proved effective in the past but also a degree of innovation. The innovation problem is “an active area” of Durenard’s current research. This book is divided into four parts: strategy design and testing, evolving strategies, optimizing execution, and practical implementation. It offers its fair share of code to help the reader along—unfortunately, not this grossly under-qualified reader. Even though he is sometimes derided for being a perma-bull (or in his words, “a redundant bull” [p. 62]), Laszlo Birinyi has a long, proven track record which has earned him the title “a legend.” So the publication of The Master Trader: Birinyi’s Secrets to Understanding the Market (Wiley, 2013) is something of an event. In addition to money flows analysis, which looks at every trade (and, most importantly, the size of every trade) in every stock, Birinyi also uses anecdotal data to inform his trading. Magazines and newspapers, he contends, are “databases in disguise.” (p. 80) He also keeps track of the attitudes of commentators and economists. Times change, markets change, traders and market analysts come and go. But some things remain constant. Over the long haul careful, extensive analytic research combined with keen human judgment will triumph. Laszlo Birinyi’s career illustrates this constancy. The Master Trader details the principles, the studies, and the grunt work that contributed to his investing success over the decades. Nicholas Atkeson and Andrew Houghton, founding partners of Delta Investment Management, have written what, in the words of the lengthy subtitle, is a disciplined approach to building and protecting your wealth in the stock market by managing your risk. Win By Not Losing (McGraw-Hill, 2013) is a mix of stories about some not-so-famous investors (in fact, a few are identified simply by their first names) and an introduction to tactical investing. Winning By Not Losing is not for the rank novice, but anyone with some experience in the stock market, especially the person who wants to move beyond a buy and hold strategy, can find useful tidbits in this book. Junheng Li has written a smart, compelling book. Tiger Woman on Wall Street: Winning Business Strategies from Shanghai to New York and Back (McGraw-Hill, 2014) moves seamlessly between autobiography and analysis to create a finely chiseled portrait of the often shadowy Chinese business world. It’s an important read for anyone interested in investing in China—or in companies that have a Chinese presence. Li left Shanghai in 1996 to attend Middlebury College and subsequently to pursue a career as a Wall Street analyst. She now runs the independent equity research firm JL Warren Capital, aimed at plugging the gap between the business reality in China and American investors. If this book is any indication, the firm is doing a first-rate job. I’ve just scratched the surface of the material that Li covers in this book. Tiger Woman on Wall Street offers carefully honed analysis even as it tugs at your heartstrings. I would say that it’s one of the best investing books of 2013 (except that it has a 2014 copyright). This year’s Stock Trader’s Almanac, its forty-seventh annual edition, has a new look, at least on the outside. Although it is still spiral bound, it now sports a maroon soft cover with gold embossed lettering and golden spirals. The inside remains pretty much the same, with a calendar section, a directory of trading patterns and databank, and a strategy planning and (somewhat abbreviated) record keeping section. The calendar section has on facing pages historical data on market performance (verso) and a week’s worth of calendar entries (recto). January’s verso pages, for example, give the month’s vital statistics, January’s first five days as an early warning system, the January barometer (which has had only seven significant errors in 63 years), and the January barometer since 1950 in graphic form. Each trading day’s entry on the recto pages includes the probability, based on a 21-year lookback period, that the Dow, S&P, and Nasdaq will rise. Particularly favorable days (based on the performance of the S&P) are flagged with a bull icon; particularly unfavorable trading days get a bear icon. A witch icon appears on options expiration days. At the bottom of each entry is an apt quotation. There’s about a five-square-inch space in which to write. As we all know, 2014 is a midterm election year, but what does this mean for investors? Jeffrey A. Hirsch, co-editor of the Almanac, writes that “midterm elections have a history of being a bottom picker’s paradise. In the last 13 quadrennial cycles since 1961, 9 of the 16 bear markets bottomed in the midterm year. … [T]his has provided excellent buying opportunities. … From the midterm low to the pre-election year high, the Dow has gained nearly 50% on average since 1914.” Hirsch anticipates “a good hunk of the next major downturn to transpire in 2014” with a low in the DJIA 12,000 range likely. We are now in the market’s “magical” quarter where gains over the years have been the greatest and the most consistent. If we take the S&P 500 as our benchmark, it has delivered an average return of 4.0% in the fourth quarter (1949-2012). Compare that to 2.3% for the first quarter, 1.6% for the second, and 0.6% for the third. Looking at the fourth quarter in the context of the presidential cycle, post-election results have averaged 3.1%, midterm a whopping 8.0%, pre-election 3.0%, and election a meager 1.9%. For those traders who are interested in intra-day trends, the Almanac divides the trading day into half-hour segments and tracks the percentage of time the Dow closed higher in a given half hour than it did in the previous half hour. The positive half-hour segments between 1987 and May 2013 began at 10, 11, 11:30, 12:30, 1, 1:30, 3, 3:30, and the close, with the strongest performances coming from the close, 3 p.m., and 10 a.m. On a daily basis, since 1990 Tuesday has produced the strongest gains although, since the March 2009 bottom, Thursday has taken over the honors. Investors who appreciate the power of seasonals and who believe that past is prologue will, as usual, relish this Almanac. Starting with Tocqueville as “the indispensable guide to the ongoing relationship between democracy and crisis,” Runciman examines seven crises: 1918 (false dawn), 1933 (fear itself), 1947 (trying again), 1962 (on the brink), 1974 (crisis of confidence), 1989 (the end of history), and 2008 (back to the future). Throughout Runciman illustrates versions of what he calls the confidence trap. For instance, it is too soon to act and it is never too soon to act. This tension was manifest in the opposing views of Sarkozy and Merkel during the Euro crisis: Sarkozy urged immediate action, Merkel believed that it was important not to be rushed. Aaron Katsman’s Retirement GPS: How to Navigate Your Way to a Secure Financial Future with Global Investing (McGraw-Hill, 2013) offers a look at how to invest in foreign stocks and bonds. Even if you don’t agree with the author’s recommendation that 50% of a retirement portfolio be allocated to international stocks and bonds (being more tactically inclined, I personally am uneasy with such fixed allocations), you can still profit from some of his tips. The GPS portfolio is based on macro events and macro trends. In deciding whether to invest in a particular country, Katsman asks such questions as whether it has a stable political climate, economic freedom, a young population and a growing middle class, a projected GDP growth with lower inflation for the following year, and a diversified economy. The countries that shine right now in these respects are the Asian Tigers (Hong Kong, South Korea, Taiwan, and Singapore), Australia, ASEAN (Brunei, Cambodia, Indonesia, Laos, Malaysia, Myanmar, the Philippines, Singapore, Thailand, and Vietnam), Colombia, Peru, Israel, and Turkey. As to investing in global bonds, Katsman points out that over 15 years (ending in 2011) a hedged global bond portfolio, one which tries to neutralize the impact of currency swings, had returns very similar to those on U.S. bonds but with less volatility. Mind you, the cost of currency hedging can be quite steep. Katsman’s book meanders into some unexpected byways, such as crowd funding, that probably wouldn’t figure in most portfolios. And he veers away from the main theme of the book when he advocates for financial advisors (yes, he is one of them). But even if this book lacks the rigor of most mainstream investing books and leaves many questions unanswered, it offers some useful advice. The reader can fill in the gaps elsewhere. If you’re looking for a refreshing break from the usual investing/trading fare, let me recommend Noson S. Yanofsky’s The Outer Limits of Reason: What Science, Mathematics, and Logic Cannot Tell Us (MIT Press, 2013). Written for the layman, it explores the realm of the unsolvable, unprovable, and unknowable. Some (perhaps even most) of the material will be familiar, but Yanofsky offers a compelling synthesis of various “outer limits” problems. Yanofsky doesn’t break new ground in this book, but he offers a “one-stop” emporium for those who enjoy pondering the limits of reason. I had a grand time reading it. John Mihaljevic is a managing editor of the prestigious monthly journal for value-oriented investors The Manual of Ideas. Hence the title of as well as a major resource for this book, The Manual of Ideas: The Proven Framework for Finding the Best Value Investments (Wiley, 2013). Even if you yawn at the very thought of yet another book on value investing you owe it to yourself to give this manual a try. It is a serious, thoroughly researched work that draws on interviews with top value investors, quantitative screens, and good old-fashioned qualitative analysis. It offers not only principles but actionable advice. And it reads well. In brief, its value far exceeds its price ($25.99 hardcover on Amazon). The book covers a range of value investing styles and opportunities: deep value, sum-of-the-parts value, Greenblatt’s approach, jockey stocks (i.e., investing in companies with great management), following superinvestors, small- and micro-cap stocks, special situations, equity stubs, and international. Mihaljevic lists some of his favorite superinvestors along with their CIK (Central Index Key) numbers, used when searching SEC filings. He also gives tips on how to track a handful of top investors who do not file 13F-HR forms with the SEC. Those who are interested in investing in small cap stocks will find useful screens and, more importantly, ways to go beyond these “crude tools for finding interesting ideas.” (p. 197) The book offers, for instance, methods for deciding whether a fallen angel will fly again and for uncovering hidden inflection points. It encourages investors to ask whether a company passed the right screen for the wrong reason, whether the financial statements raise any red flags, who has been buying and selling the shares, what management’s attitude is toward outside shareholders, and where the shares are relative to their historical range. An “intra-text” note from this reviewer who watched, and thoroughly enjoyed, the documentary “Note By Note: The Making of Steinway L1037”: As readers probably know, John Paulson recently bought Steinway, which Mihaljevic describes as a classic case of a company that “saw no urgency to unlock shareholder value.” Although “the renowned piano maker … also owns a band instruments business and valuable real estate in New York, … investors who bought Steinway shares based on a sum-of-the-parts appraisal would have witnessed years of inaction on monetizing real estate.” (p. 61) Well, if it takes about a year to make a piano, perhaps we can understand the frustratingly snail-like pace of Steinway’s board. The Manual of Ideas is a book I can highly recommend to retail and institutional investors alike or, to slice the investing world another way, to beginners as well as old-hands. It has something to say to every investor, even those who don’t consider themselves true value investors. Mathematical Methods for Finance: Tools for Asset and Risk Management by Sergio M. Focardi, Frank J. Fabozzi, and Turan G. Bali (Wiley, 2013) may have chapter titles that sound like a math department’s course offerings, but this book is no substitute for actually taking the courses. The reader is not about to learn differential calculus in 30 pages or matrix algebra in 26 pages. And the two concluding chapters on stochastic calculus are definitely not for those who opted to round out their college schedules with the history of art instead of math. The authors may claim that “there is no prerequisite mathematical knowledge for reading this book,” but without some pretty extensive math background (or an extraordinary ability to grasp mathematical concepts intuitively) the reader’s understanding of the text will be minimal. Prospective readers looking for a crash course should understand that they won’t go from 0 to 60 in 300 pages. Since the authors are trying to cast a wide net they explain key concepts in each field. For instance, the differential calculus chapter discusses the notion of limit, the essentials of limit theorems, the common definitions linking relevant conditions to limits of functions and sequences, the concept of continuity and total variation, differentiation and commonly used rules for computing first-order derivatives, computing second-order and higher-order derivatives, the chain rule, and the Taylor series expansion. The reader whose grasp of calculus is firm, or the reader who just needs a quick refresher course, will then learn a couple of applications of derivatives in bond portfolio management. For many who would like to understand the quantitative side of modern finance this book serves as a daunting to-do list. Probability in finance, for example, is not the kind of probability used by poker players (and taught in beginning probability courses). Poker players don’t have to worry about fat tails and Hermite polynomials, quants do. Poker players can win big without ever having seen an integral, quants can lose millions/billions for their firms if they don’t understand integrals inside out. Even though the book spends far more time on mathematical concepts than on applications, Mathematical Methods for Finance is still a good reference book for those who want to move from the math of the academy to the math of Wall Street. A primer, however, it’s not. Greenblatt, Breakthrough Strategies for Predicting Any Market,2d ed. The first edition of Jeff Greenblatt’s Breakthrough Strategies for Predicting Any Market: Charting Elliott Wave, Lucas, Fibonacci, Gann, and Time for Profit appeared in 2007. Since that time Greenblatt came to embrace the work of W. D. Gann. He also found that Alan Andrews’ median lines served as “an excellent GPS system in order to understand how trends evolve.” The second edition (Wiley, 2013) thus includes new chapters on Gann, Andrews, and median channels. It also addresses market sentiment/psychology. Greenblatt is the director of Lucas Wave International and editor of The Fibonacci Forecaster. And who was Lucas, you might ask. (Well, at least I did.) Edouard Lucas (1842-1891) was a French mathematician who invented the famous (some might say infamous) Tower of Hanoi puzzle. He also studied number sequences, most notably the Fibonacci sequence. The closely related number sequence (2, 1, 3, 4, 7, 11, 18, 29, …) is named after Lucas. Breakthrough Strategies focuses on chart reading, the idea being to wean traders away from a reliance on lagging indicators and to introduce them instead to the kind of pattern analysis/recognition that can serve as a forecasting tool. By pattern recognition Greenblatt doesn’t mean simply finding double tops or ascending triangles. He is looking for quantifiable patterns. He counts bars in search of cycles, squares time and price, calculates Fibonacci retracements and extensions. He takes the reader chart by chart (some of them pretty difficult to decipher amid all the lines and numbers) to illustrate the various techniques he uses. The idea is to build up a repertoire of methods that are objective, not subjective. Of course, in trading nothing is purely objective. Just because a Gann calculation agrees with some Fibonacci level doesn’t mean that the trader has an objective signal. An Andrews channel in conjunction with another Fibonacci level might offer up a competing signal. Moreover, even when all the stars align the results may be disappointing, as Greenblatt readily admits. So who can profit from this book? Certainly not a beginning trader; it’s far too complex for someone just getting his feet wet. Not the minimalist who likes clean charts. And, of course, not the person who thinks that all this old stuff is so much voodoo. Greenblatt is unlikely to win converts to his cause with this book. But for the trader who is using any of these strategies and is looking for a way to complement them (especially for those who might contemplate adding Gann to their quiver), Greenblatt’s book is a helpful guide. Harry M. Markowitz, now in his mid-80s, has embarked on a four-volume series entitled Risk-Return Analysis, of which this volume, The Theory and Practice of Rational Investing (McGraw-Hill, 2013), is the first. Most of us grew up with modern portfolio theory, first enunciated in a 1952 journal article and later proclaimed to be the beginning of modern finance. Brokerage firms provided clients with graphs showing optimal portfolios that offered the highest expected return for a given level of risk, achieved largely through diversification, and investors who wanted to sound knowledgeable threw around the phrase “the efficient frontier”. Modern portfolio theory seemed to work pretty well for decades. But then came the financial crisis, and critic after critic began sounding the death knell for MPT. Markowitz’s response is masterful. He doesn’t launch a frontal attack on his critics. (Well, here and there he does let loose. For instance, on p. 72 he writes that “the persistence of the Great Confusion—that MV [mean-variance] analysis is applicable in practice only when return distributions are Gaussian or utility functions quadratic—is as if geography textbooks of 1550 still described the Earth as flat.”) Instead, for the most part he invites them to understand just what it is he is saying (which is different from what they are criticizing). This exercise involves a lot more than catch phrases and graphs. Moreover, he explains where and how his own thinking has evolved over the decades. The result is a book that every finance professional should own. Serious retail investors who are not afraid of a little statistically related math will also be rewarded intellectually, perhaps financially as well. But, casual reader beware, this book is not one that I would describe as a good read. The book is divided into five chapters: the expected utility maxim, mean-variance approximations to expected utility, mean-variance approximations to the geometric mean, alternative measures of risk, and the likelihood of various return distributions. In this book Markowitz also assesses competing risk measures (variance, mean absolute deviation, semivariance, value at risk, and conditional value at risk). His findings are provocative and, I’m sure, will elicit fervent rebuttals from proponents of these risk measures. The Theory and Practice of Rational Investing is an important work, inviting academics and finance professionals to take a second look (or perhaps a first genuine look) at modern portfolio theory and thereby more fully understand its foundations, tenets, and consequences.